On one hand, you’ve got the 2018 Toyota Corolla– a stylish and high-tech car that sports fuel economy specs of up to 28 miles per gallon in the city and up to 36 miles per gallon on the highway1. It’s quite compact, it’s quite popular, and it’s quite likely to make a splash on the market around Avon, Indy, and Plainfield. Then, on the other hand, you’ve got the Ford Focus. Also quite the good-looking, advanced vehicle, and one that gives you as much as 25 city MPG and 34 highway MPG – that’s not as much as its competitor, but that’s not too shabby, either. Which compact car will our IN drivers prefer to go with this season? That’s the question that our Andy Mohr Toyota team decided to answer with this comparison. 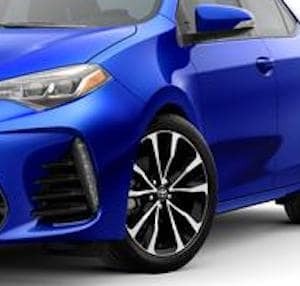 One of the first things that people notice about the all the Toyota Corolla trim levels is the attractive palette of exterior paintjobs. With colors like Classic Silver, Black Sand, Barcelona Red, Super White, Blizzard, Slate, Falcon Gray, and Galactic Aqua (among others), you’ll have plenty of options, depending on what we have in stock now. On the other hand, while the Focus does offer ten different available exterior colors, we don’t find them nearly as attractive as the ones that we mentioned above. Plus, the Toyota Corolla ups the ante with its standard Bi-LED headlights and its available 17-inch alloy wheels, which are both stylish and practical. Speaking of practical, check out some of these entertainment and navigation systems in the Corolla interior. Audio and Nav. You can choose between either the available Entune™ Audio Plus system (with its 7-inch high-resolution touch-screen display, its auxiliary port, and Siri® Eyes Free) or the upgraded Entune™ Premium Audio with Integrated Navigation (featuring the Entune® App Suite with MovieTickets.com). Connectivity. Integrated Bluetooth®technology and a standard USB port. Integrated Backup Cam. Now, reversing out of your driveway in the morning has never been easier. Luckily, though, Ford’s available SYNC® 3 system strives to accomplish many of the things that Toyota’s aforementioned Entune™ systems do, too – audio, navigation, connectivity, and the whole nine yards. Last, but certainly not least, take a look at Toyota’s Standard Safety Sense™ P (TSS-P) suite of high-tech smart safety features. These are the technologies that will work to keep everybody safe ‘n sound. 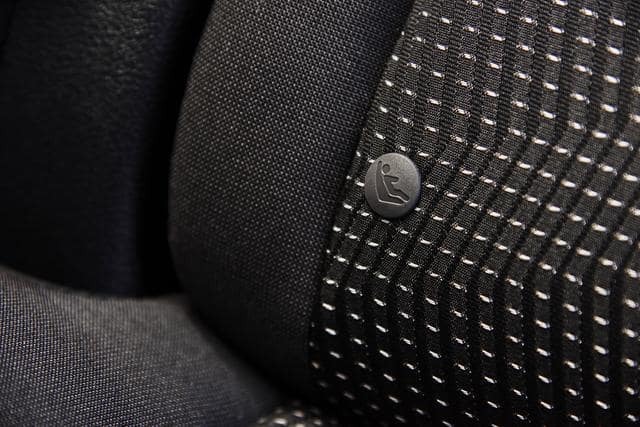 Yet that’s not all that it has – eight standard airbags, the Star Safety System™, a Tire Pressure Monitor System, Whiplash-Injury-Lessening Seats, and more ensure that it’s one of the safest cars in the state. The Ford Focus does its best to keep up, with available Driver-Assist Technologies like a Lane-Keeping System, which is comparable to the Corolla’s Standard Lane Departure Alert with Steering Assist tech. Read more about the 2018 Toyota Corolla safety features! Contact us today at Andy Mohr Toyota to set up your test drive ASAP! Of course, the choice is up to you, however, if you choose the Toyota Corolla over the Ford Focus, then we encourage you to reach out to us at Andy Mohr Toyota, and we’ll get you behind the wheel for your test drive. We’re just down the road from Plainfield, Indianapolis, and Avon, so contact us right away.